New User - Triggers when a new user/employee is added to your organization. New Subscription - Triggers when a new subscription is added to a client. New To-Do - Triggers when a new to-do is added to a client. New Pulse - Triggers when a new pulse is added to a client. Find Contact - Finds an existing contact in your account. Find Client by External ID - Finds an existing client in your account by external ID. Create Pulse - Creates a new pulse on a client. Create Subscription - Creates a new subscription. Create To-Do - Creates a new to-do within a client. Create Engagement Interaction - Creates a new engagement interaction on a client. Create Contact - Creates a new contact within a client. 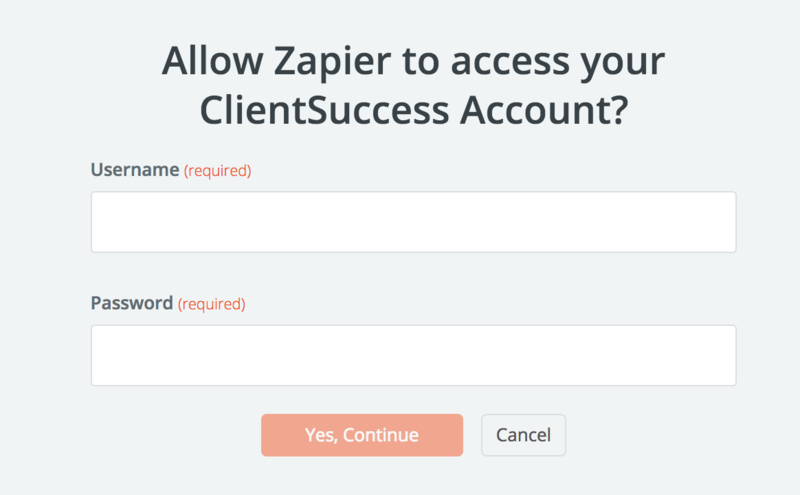 When you start creating a ClientSuccess Zap, you will be asked to connect your ClientSuccess account. 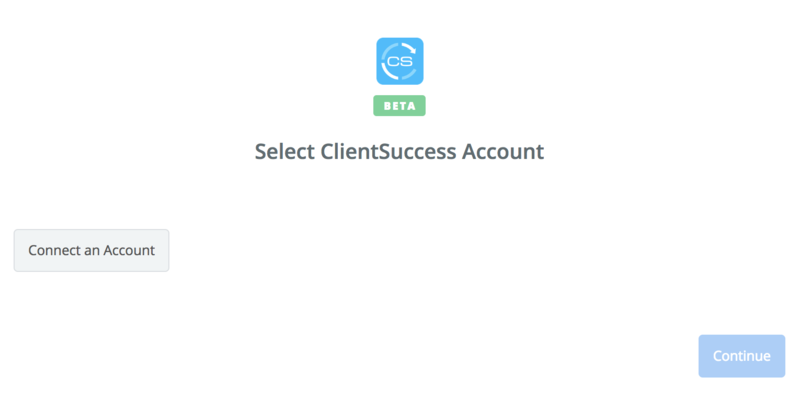 When you click connect, you will then be asked to enter your ClientSuccess username and password. 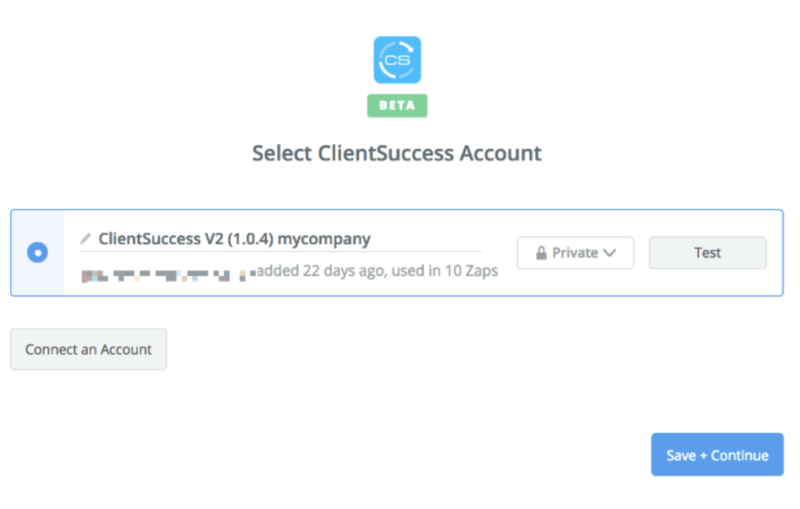 If those steps were correct, you'll get sent back to your Zap where you will now have your ClientSuccess account successfully connected!